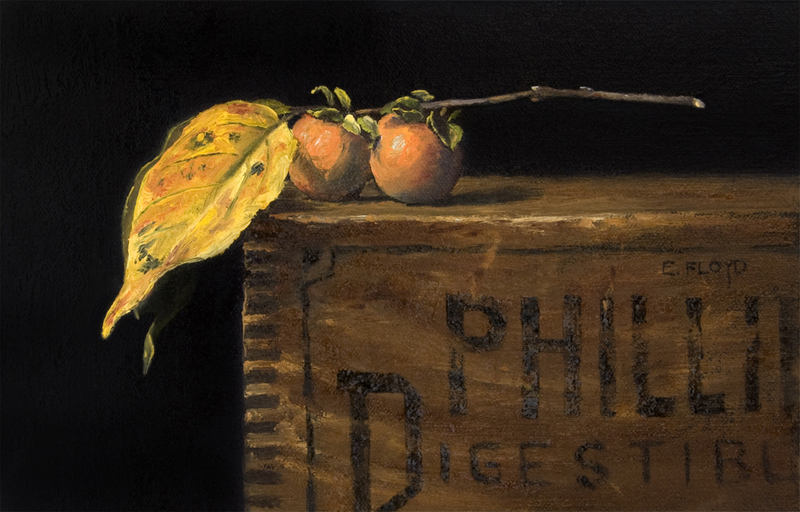 One thing I have come to realize about my work is that I prefer to respond to the immediacy of the moment, to what is in season, and what I am able to bring in from the outside... Painting from life, in natural light, gives me an opportunity to respond to that specific time of year. And every autumn I look forward to collecting the wild persimmons that grow here in Northern Virginia. These little fruits are much more bitter than the cultivated persimmons, and as a whole I do not eat them, but I truly admire their diminutive size and the muted orange and areas of natural yeast.